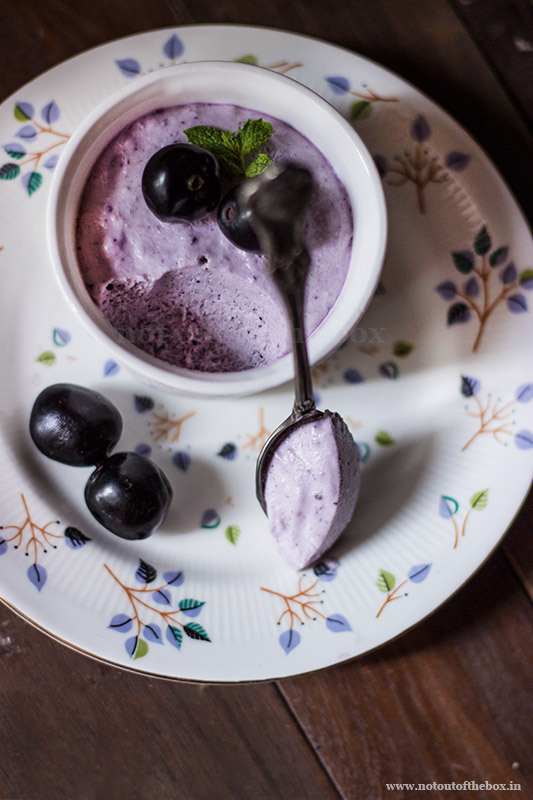 This no fuss, gorgeous Jamun Mousse is made with one of our favourite summer fruit Jamun. Try this to experience a different journey altogether. 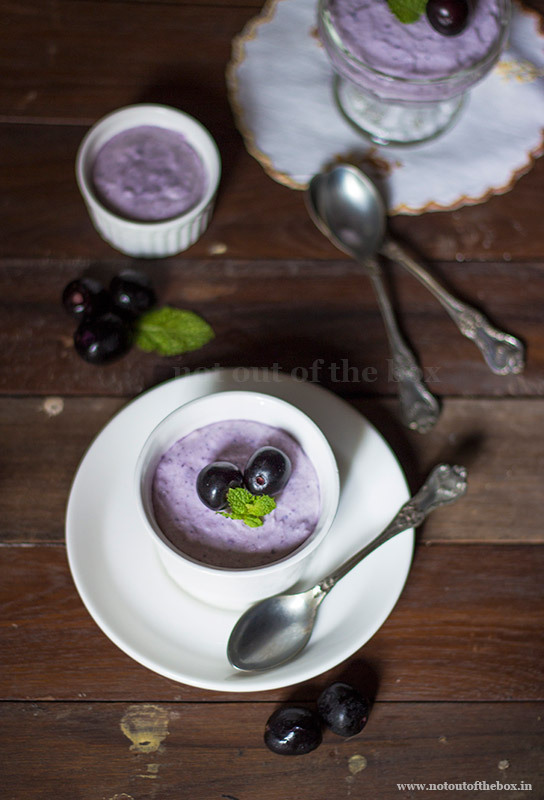 A spoonful of this decadent, smooth, creamy dessert is equal to heaven! Take a bowl; break the white chocolate into small pieces. Melt the chocolate using a double boiler (read note). The melted chocolate will be little warm, let it be cooled completely. 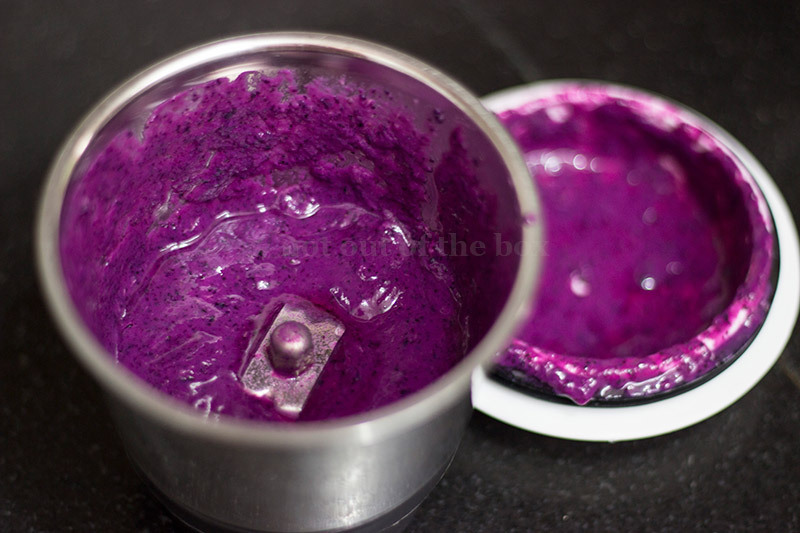 Grind the java plums (jamun) using a mixer/grinder until smooth. Keep aside. Put the whisk attachments and mixing bowl in deep freezer for 15 minutes. Take them out; pour the whipping cream in the bowl. 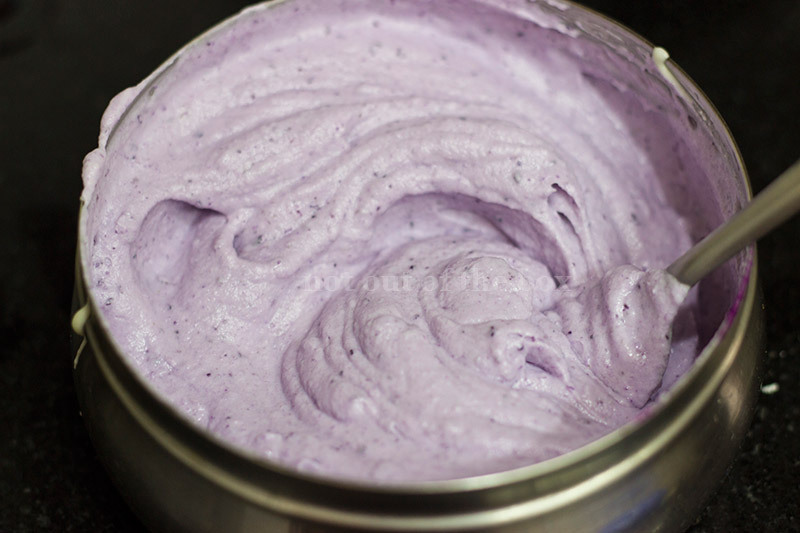 With the electronic hand mixer whisk the cream on medium speed for 2 minutes, and then whisk it on high speed for 3 minutes. You will get soft peaks. Now add the melted chocolate and jamun pulp in the whipped cream. Mix very well. I mixed this with a tablespoon. You can use hand mixer, choice is yours. Your mousse is ready to set. Scoop the mousse equally into small individual serving bowls or ramekins. Use pieces of aluminium foils or cling film to seal the top of the ramekins. Chill in the refrigerator for 5-6 hours. Serve cold. You can garnish the mousse with chocolate sprinkles or you can use chocolate shavings, fresh fruit or dollop of whipped cream, whatever you want. Double boiler is no fancy thing. It’s a bowl of hot water, with a lid on top. You need to place the bowl of chocolate pieces on top of the lid. Tropolite cream has sugar in it, so I’ve not added any sugar. 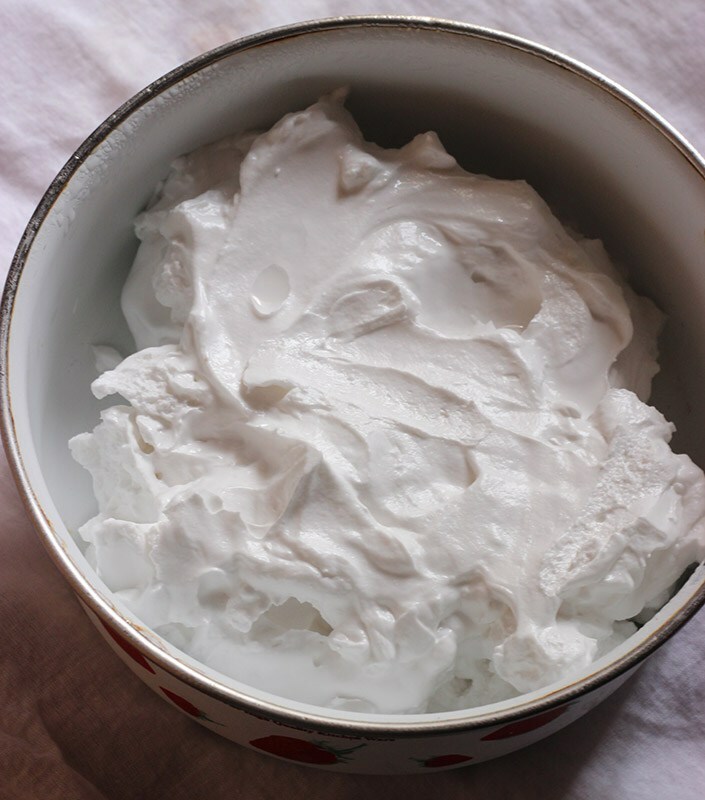 If you are using sugar free cream, then add icing sugar as per your taste after whipping the cream. This recipe can be easily doubled as per your need.